If you are in search of art materials we have now provided 2 new pages of links for you. The first page contains links to companies selling materials and the second to manufacturers of Artists' supplies. There is a wealth of information available about how the items are made and how the raw materials are sourced. Most of us use pens, pencils, brushes etc without any real idea of how they are made. Many of the sites contain valuable tips on how to use their products to your best advantage. A must for any serious artist and beginner alike. 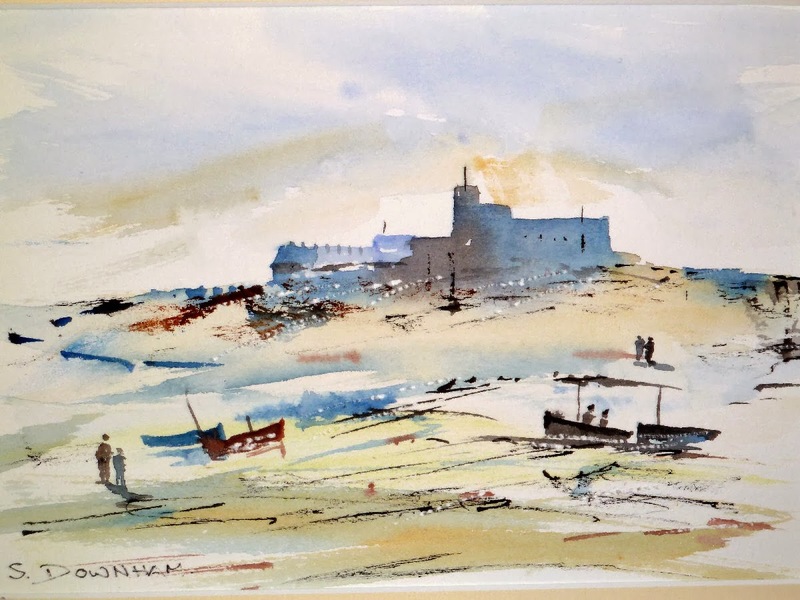 While browsing we have posted "Jersey Castle", a watercolour by S. Downham, one of our club members.